Moving out of state then let our professional Philadelphia moving company move you. Since 1987 we have provided full Planning, packing and moving services to Florida, Chicago, the south west and the northeast and all states in between. We have a team of dedicated professional and experienced movers ready to move you home. 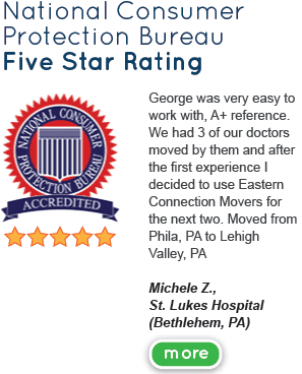 Eastern Connection Movers can assure you the best and absolute moving experience and give our customer service desk a call today at (484)461-8685 or fill out our contact us form by clicking here for your free no cost quote obligation today.